You have probably heard the dog name Fido but did you know that Fido was a real dog that lived in a small Italian farming village? The story is both heartwarming and heartbreaking and is the inspiration behind our name. 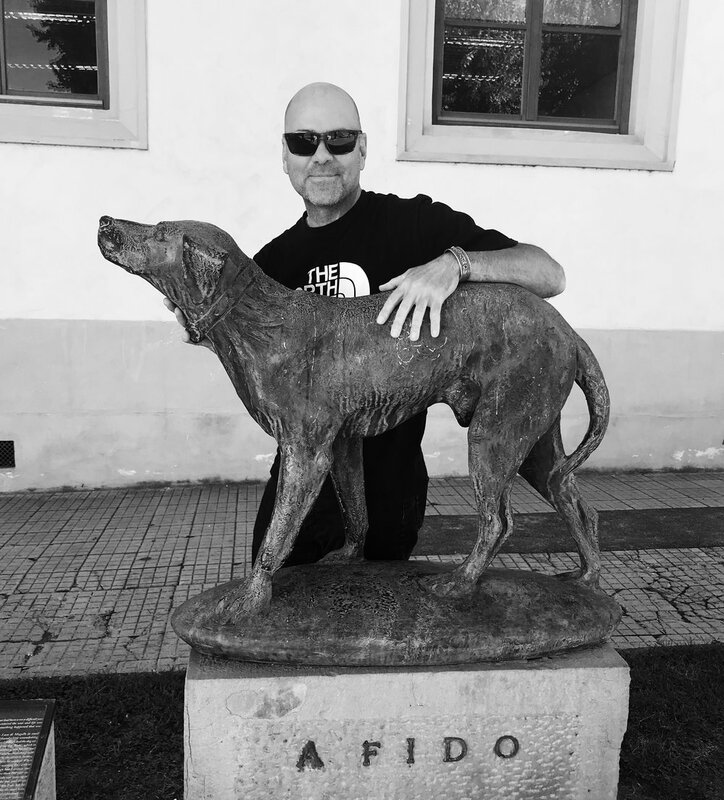 Fido was an Italian street dog, whose relationship with a factory worker during WWII became a famous example of the undying devotion and love given by a dog to a human. One day on his way home from his job at a factory, Fido’s soon to be companion and saviour came across Fido laying in a ditch, badly injured. The man took Fido home and nursed him back to health. Every day thereafter, Fido would walk his human to the bus station where he would watch him board the bus for work and every evening Fido would return to the bus station at the same time to await his humans return. Sadly, one day, Fidos’ human companion did not get off the bus, as he had been killed earlier that day during a bombing raid on the factory where he worked. For the fourteen years that followed and up until the time of his own death, Fido returned to the bus station every day at the same time to see if his beloved saviour would get off the bus. This heartwarming and heartbreaking scene played out everyday over 5,000 times! The villagers were so moved by the faithful and devoted Fido that the town awarded him a medal before his death and soon after they erected this statue in the town square as tribute. This love and devotion provided us by our dogs is what motivates and inspires us at Fido Pro. We feel a deep responsibility to take every measure possible to look after our Fido’s, our FAITHFUL.